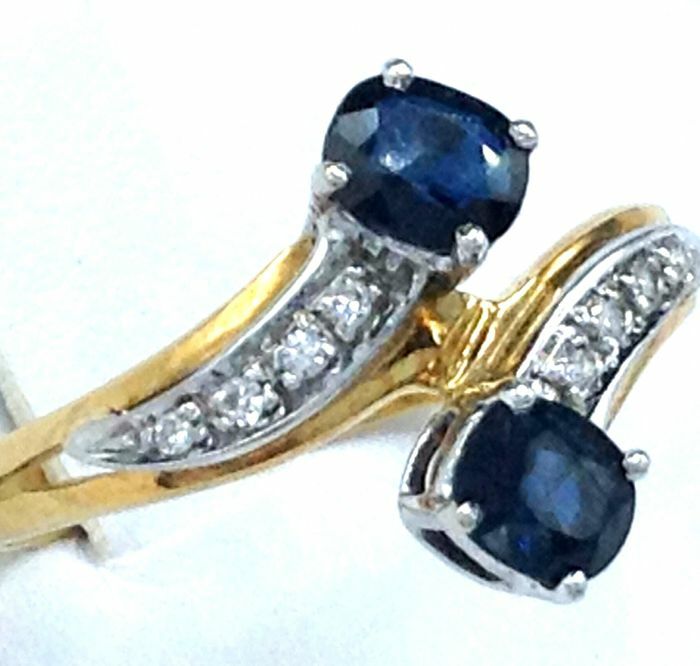 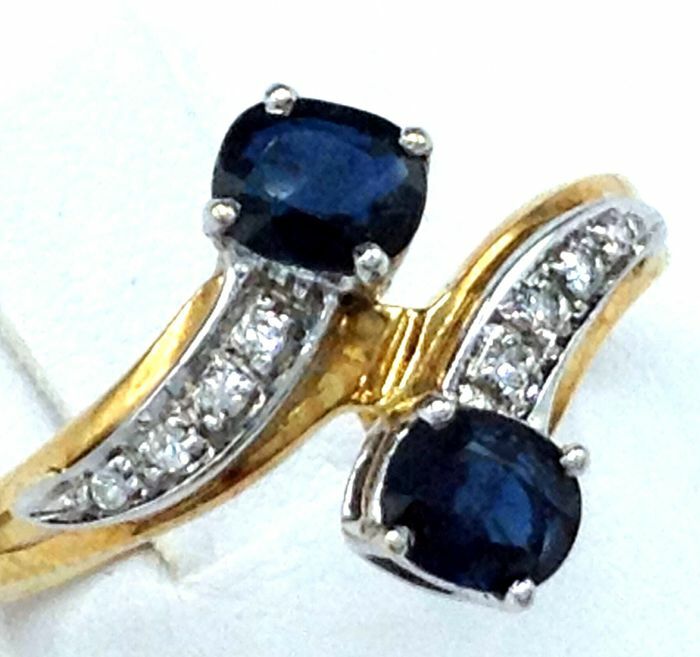 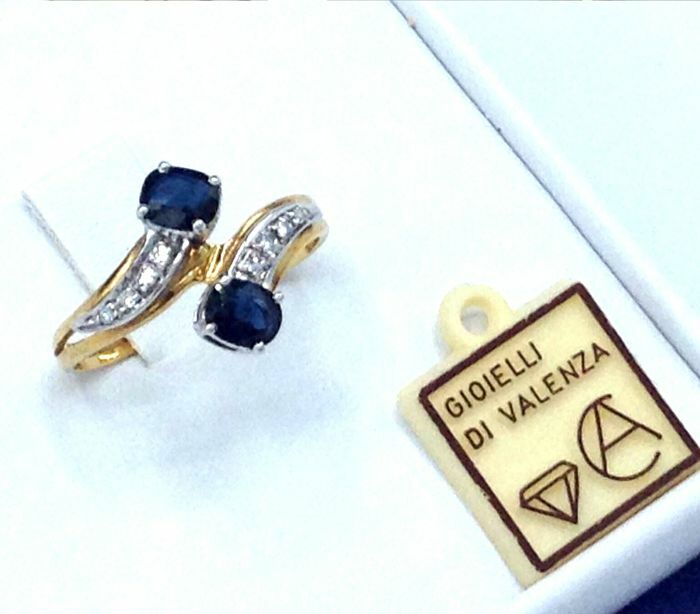 Ring handcrafted in Valenza (AL) from 18 kt yellow and white gold with pair of sapphires (0.40 ct each) alternating with brilliant cut diamonds. 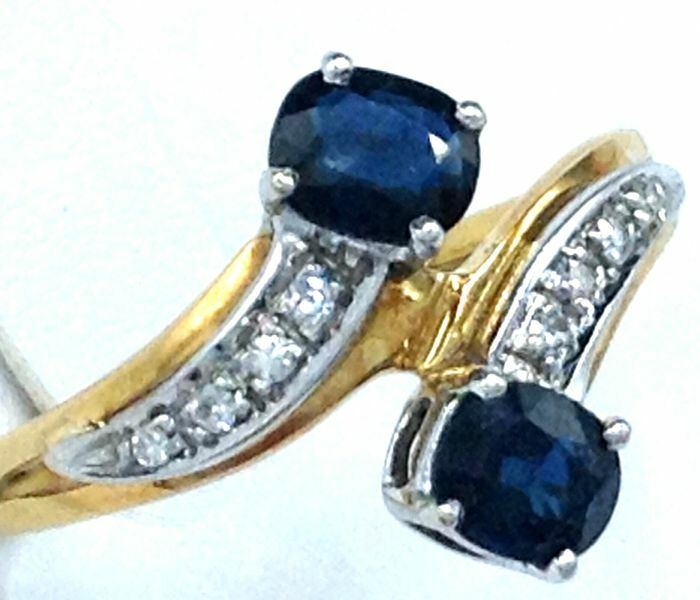 A timeless piece of jewellery, one-of-a-kind and handmade. 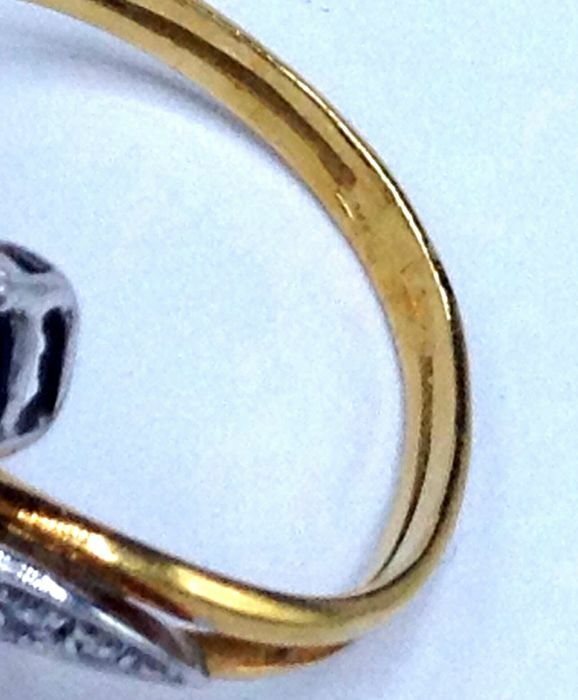 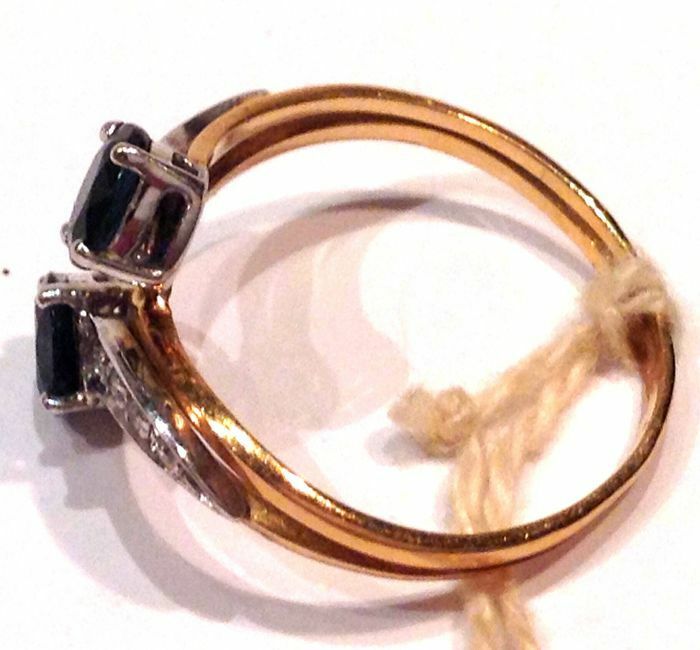 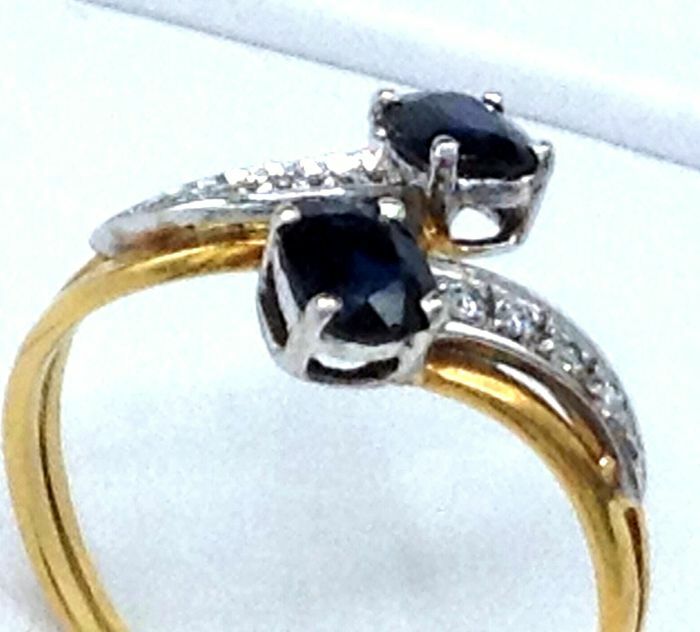 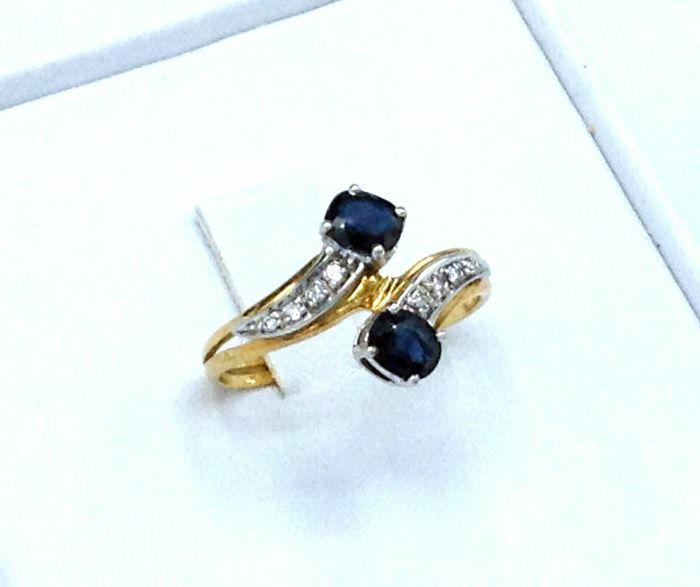 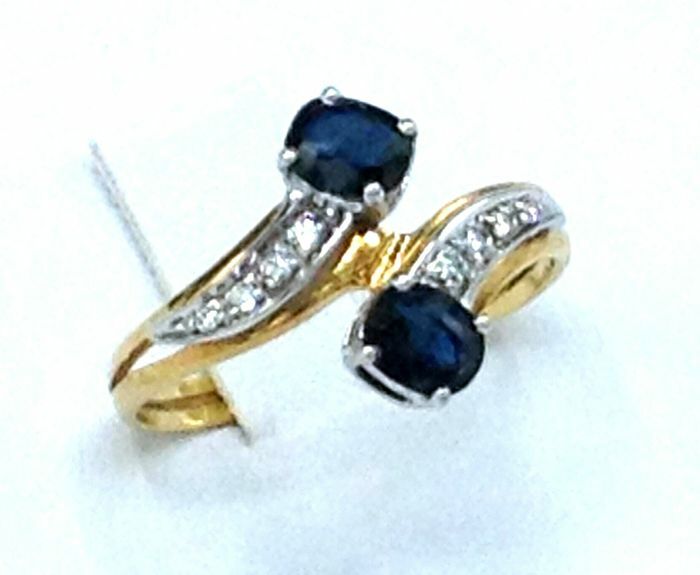 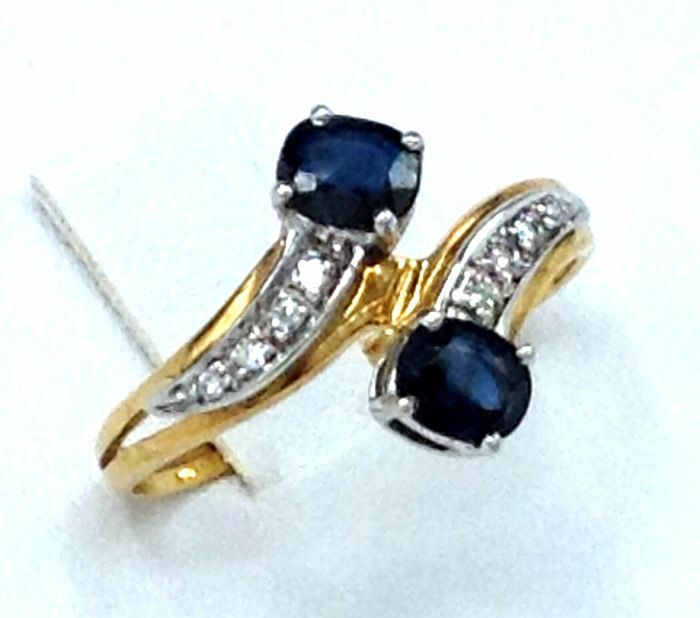 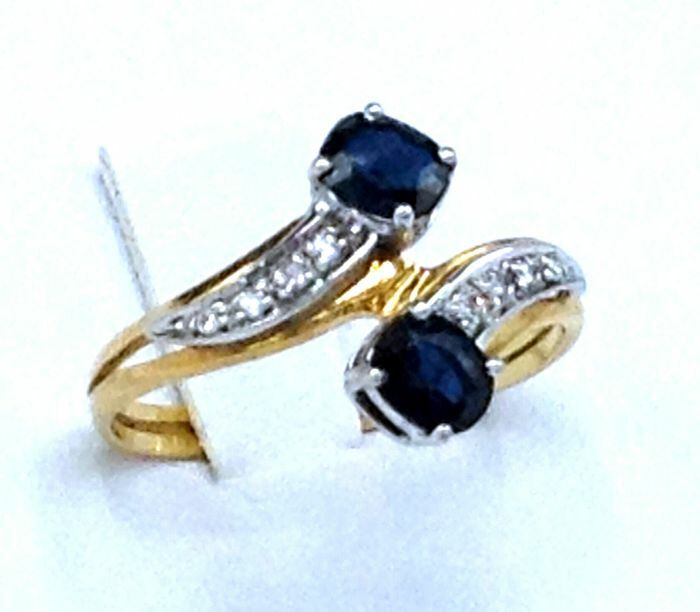 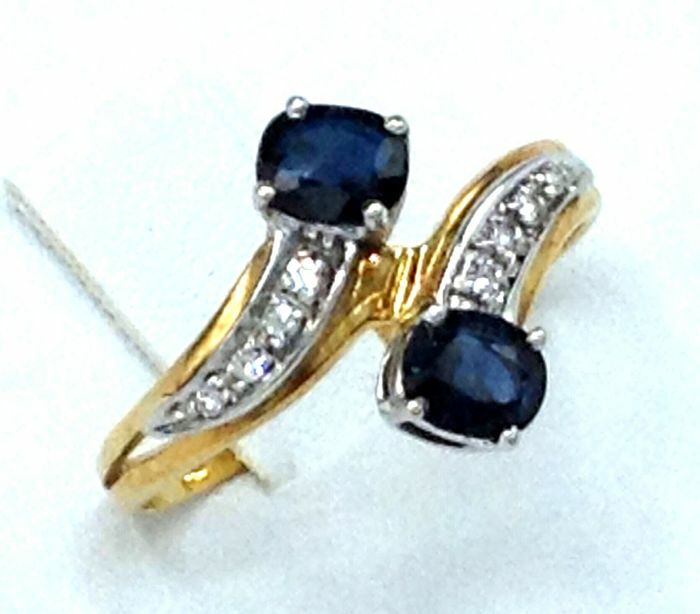 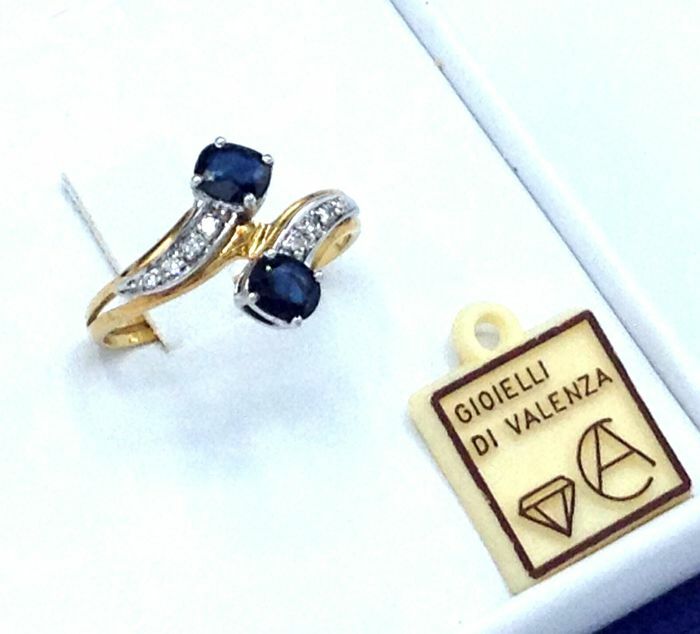 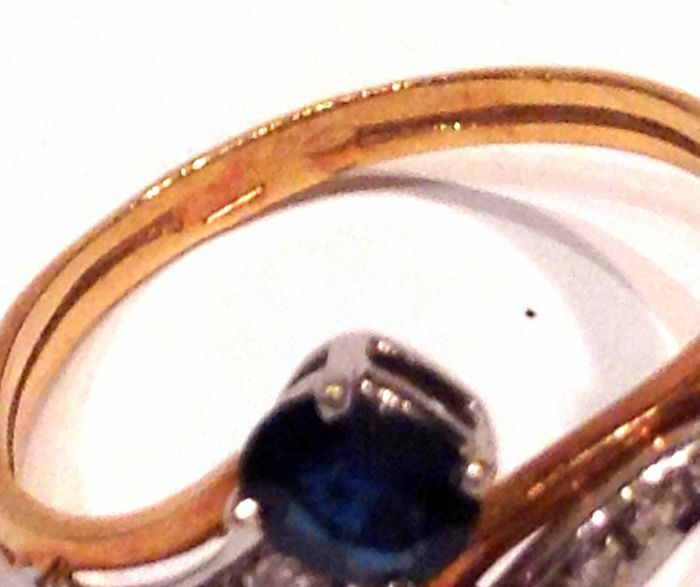 The ring comes with an official guarantee for the gemstones and gold and a gift box. 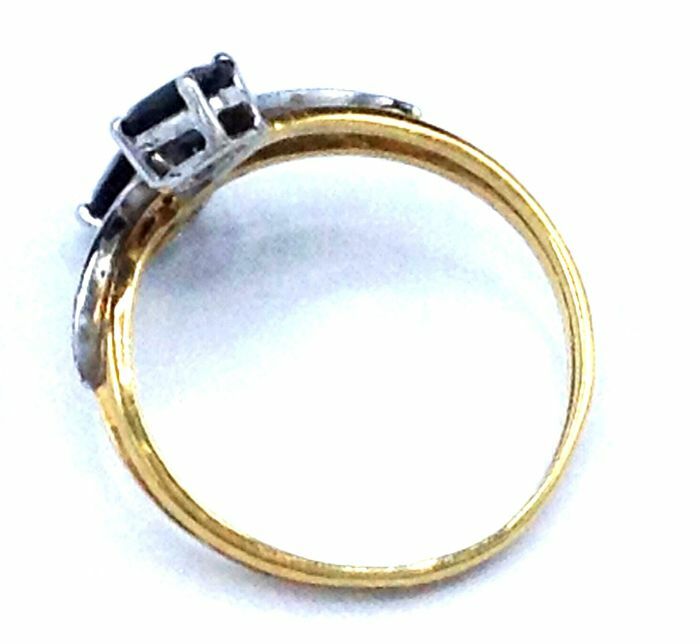 Registered shipping with tracking and insurance.